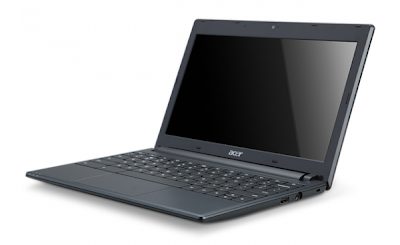 TECHZONE: Acer google OS Laptops features, price and specifications. 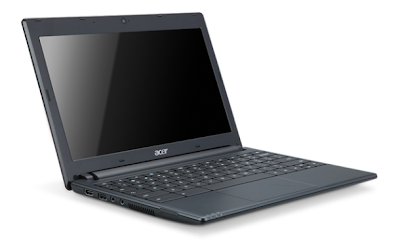 Acer google OS Laptops features, price and specifications. Google announced its laptops that runs on Chrome OS. They will come in two dealers, from Acer and Samsung. It is a fully web based laptops, so both of them housed the hardwares that is necessary for its title. Google will also make both notebooks available to business and consumers. Including a Chrome Box management device as well as software/hardware management service, Google will be offering both hardware and software at a price of $28 per month for businesses and for $20 for schools. It will be available on june 15 through online from Amazon and Best Buy.com. It's currently available for preorder. Tags: Google Chrome OS, Chrome OS laptops, Chrome OS laptops features, Chrome OS laptops reviews, Chrome OS laptops specifications, Chrome OS laptops price, Chrome OS laptops availability, Acer Chrome OS laptops, Acer Chrome OS laptops review, Acer Chrome OS laptops specification, Acer Chrome OS laptops availability, Acer Chrome OS laptops price, Acer Chrome OS laptops features Acer Chromebook.